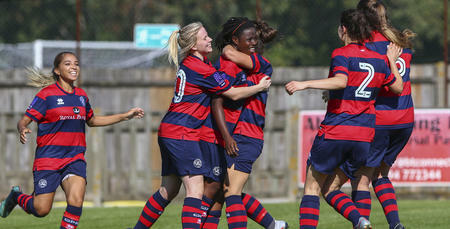 QUEENS Park Rangers Women crashed out of the FA WNL Cup in controversial fashion to Loughborough Foxes on Sunday. 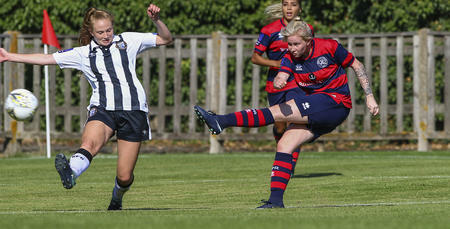 Jo Wilson’s 34th-minute opener gave Rangers a deserved half-time lead, but they were pegged back early in the second half before late drama at Honeycroft. Loughborough edged in front five minutes from time despite an apparent foul on Gillian Kasirye, which left the R’s goalkeeper injured and saw Courtnay Ward-Chambers dismissed for dissent. Insult was added to injury as Loughborough wrapped up the win with a third goal deep into stoppage time as the visitors progressed at the R’s expense. Despite the tough conditions, Rangers started the game the better side with Sandeep Tak having the game's first real effort on goal. Wilson was inches away from giving the R’s the lead, but she was unable to cap off what was a fine team move involving Whitney Locke, Vicky Grieve and Ward-Chambers. QPR were almost made to pay for not making the most of their opportunities, but Kasirye in the R’s goal pulled off some impressive saves to keep the score goalless. In the 34th minute Rangers finally broke the deadlock. Wilson latched onto a long ball from Roschelle Shakes, rounded the goalkeeper and coolly slotted home to give the Super Hoops a deserved lead at the half-time whistle. But with only six minutes played in the second half, Loughborough had a route back into the game. After Kasha Petit was harshly penalised for a push in the box, Laura Steele took responsibility from the spot and drew the visitors level. Rangers continued to dominate possession, but it was Loughborough who were able to carve out the more threatening opportunities, with Kasirye producing a fine display in the QPR goal to keep the R’s in the tie. With the game heading for extra-time, there was to be a late twist. Firstly Ward-Chambers was booked for retaliating to a challenge, moments before Loughborough took the lead through Eva Rogers – bundling into Kasirye, seemingly knocking the ball out of her grasp and tapping the ball home. Rangers protested but to no avail, with Ward-Chambers receiving a second yellow card and sent off. Worse still, the injury to Kasirye meant she couldn’t continue leaving Rangers down to nine while Grieve took the gloves between the sticks for the closing stages. 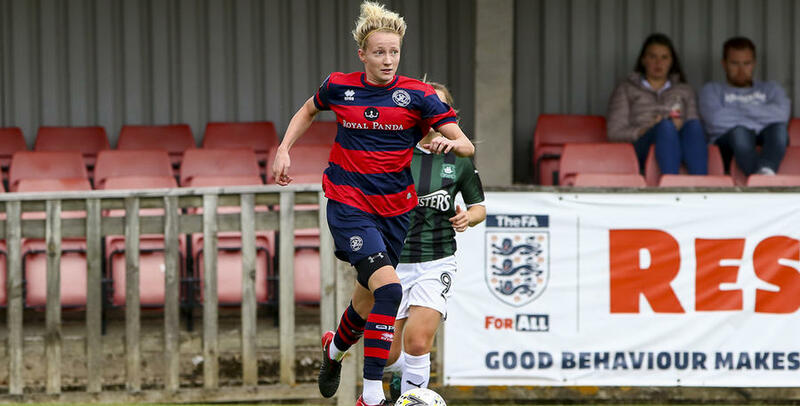 QPR tried to grab a last-gasp equaliser but Rebecca McGrother instead made it 3-1, sending Loughborough through to the next round. Manager Martino Chevannes shared his frustration afterwards, telling www.qpr.co.uk: “I should be talking about the performance and how well we played, but instead refereeing decisions have cost us once again. We were winning the game 1-0, having done all the right things, we’ve worked hard, played some good football and got ourselves ahead, but the officiating has overshadowed that. Chevannes’ side are back in league action next Sunday, when we host Chichester City. 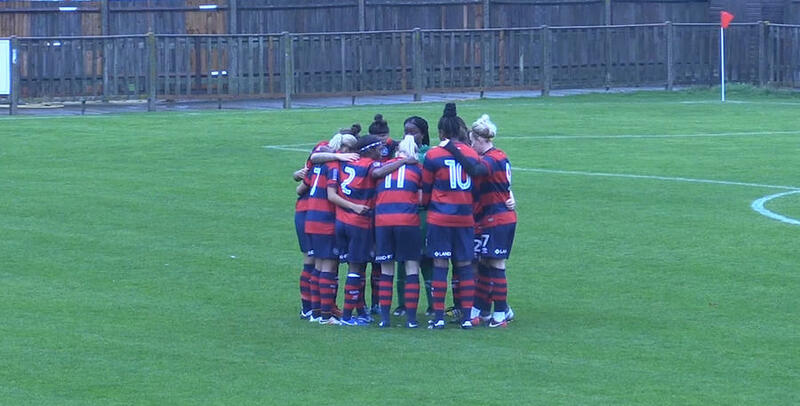 QPR Women: Kasirye, Petit, Anes (Kinnane 11), Chimbima, Grieve, Bytyqi, Locke, Tak, Wilson (Puddefoot 46), Shakes, Ward-Chambers. 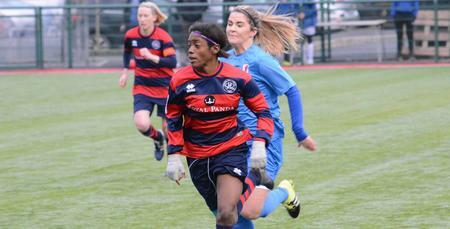 WATCH highlights from QPR Women’s FA WNL Cup match against Lougborough Foxes on Sunday.